I learned late last week that Warren Murphy passed away. Some of you might not be familiar with the work of Warren, and that's kind of a shame. He's the guy who created and wrote much of the The Destroyer series, which was incredibly influential on me as a kid. For those who don't know, the series starred Remo Williams and Chiun, both masters of Sinanju and assassins working for the American government and their super-secret agency CURE. They were part of the wave of "Men's Adventure" books from the last century and had a lot of wonderful writing in them, even if they seem incredibly dated by today's more politically correct standards. I started reading them in second grade (why my parents let me, I'll never know) and Remo and Chiun were frequent characters in my schoolyard play. Shane Black, director of Iron Man 3 and Kiss, Kiss, Bang, Bang is adapting it into a film. He wrote other books I loved, like Temple Dogs and The Forever King, and made an indelible mark on my brain and storytelling sensibilities. Through circumstances I don't even remember, I was able to come in contact with Warren a few years ago. 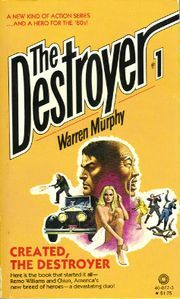 There was much talk of me writing a Destroyer novel (a dream I still hold) and many other things. To proceed, Warren wanted to read a bunch of my stuff. He almost instantly devoured my two books at the time, Lost at the Con and Operation: Montauk, and a number of my short stories. He gave me so much mentorship, guidance, and advice as a storyteller that I would never be able to truly thank him enough for the time of his he gave me. He was the nicest, cantankerous old man I think I'd ever come in contact with. He'd been struggling with his health and passed away on September 4th, and since I was at Dragon Con, I haven't quite had time to process it. 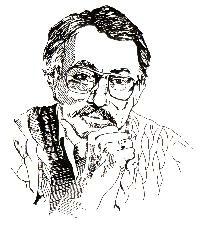 Someone I'd idolized as a writer for close to thirty years who turned into a friend and a mentor was gone. Just last month I was extolling the virtues of his advice in my piece on avoiding cliches, quoting him directly in his advice to me. I suppose my point is that if a legendary writer somehow gives you their time, don't take it for granted. They won't be there forever and if they're spending what little time they have on this Earth trying to help make you a better writer, you should do everything you can to make it count for something. Sadly, this isn't the first mentor I've lost, and not the first I wish I had more time with. Aaron Allston and Jeff Michael Vice come to mind. Mentors help you skip the mistakes they made. They help you avoid pitfalls. They help you advance further and faster than you would be on your own. Mentors are the map and compass for writers. They'll hand you a map with the well-worn trails they took, knowing those paths might not work again, but as a compass they'll help keep you moving in the right direction. Warren was one of my guiding lights and, as if a guiding star winked out, he won't be able to help guide my path again. My point is this: Seek out mentors. And do it sooner rather than later. You never know when they won't be around anymore. While I was at Dragon Con, I interviewed Chuck Wendig about writing his new book Star Wars: Aftermath for Full of Sith, you can listen to that here. I also moderated a panel on mythology and Star Wars with Michael A. Stackpole, Timothy Zahn, Kevin J. Anderson, and Rebecca Moesta, and it was recorded by the Tosche Station podcast, so head over there to listen to it. I also reviewed Aftermath for Big Shiny Robot! and you can read that here.